Giving relief to individual taxpayers, the government on Monday raised the income tax exemption limit by Rs 10,000 for general taxpayers, and by Rs 15,000 for senior citizens. For general taxpayers, income of up to Rs 160,000 per annum for men and Rs 190,000 per annum for women is tax-exempt. Senior citizens will not have to pay tax up to an annual income of Rs 240,000. Announcing these measures while presenting the Budget for 2009-10, Finance Minister Pranab Mukherjee said his direct tax proposals are revenue-neutral and would not result in any revenue loss. Pranab also removed the surcharge on income above Rs 10 lakhs (Rs 1 million) for personal income tax payers. The surcharge was levied at the rate of 10 per cent on income above Rs 10 lakhs. On the basis of recommendation of Prime Minister's Economic Advisory Council, the finance minister also proposed to abolish the Commodity Transaction Tax introduced in the Finance Act 2008. The finance minister also informed the Lok Sabha that he proposes to exempt the income of New Pension System Trust from the income tax and any dividend paid to this Trust from Dividend Distribution Tax. Similarly, all purchases sales of equity shares and derivatives by the NPS Trust will also be exempt from Securities Transaction Tax. 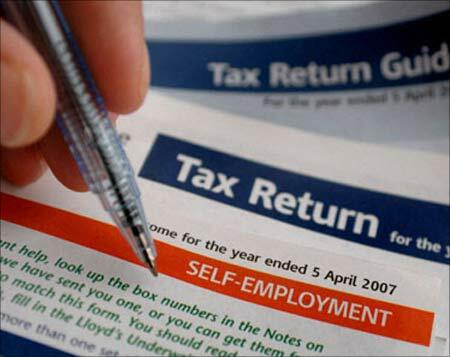 Image: Quick answers to your frequently asked questions regarding filing income tax return. Finance Minister, Pranab Mukherjee has proposed to abolish Fringe Benefit Tax on the value of certain fringe benefits provided by employers to their employees. He also proposed to extend the sun-set clauses for deduction in respect of export profits under Section 10A and 10B of the Income Tax Act by one more year i.e. for the financial year 2010-11. 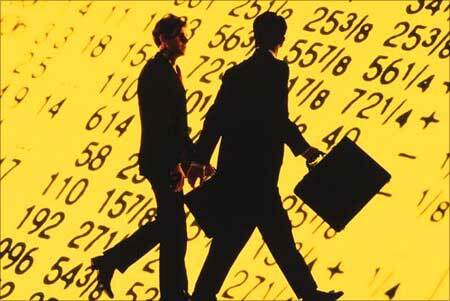 However, the finance minister proposed no changes in the Corporate Tax rates. The finance minister stated that the tax exemptions are largely profit link under the present scheme of the Income Tax Act and such incentives are inherently inefficient and liable to misuse. He, therefore, proposed to incentivise businesses by providing investment linked tax exemptions rather than profit-linked exemptions. The finance minister proposed to extend investment-linked tax incentives to the businesses of setting up and operating 'cold chain' warehousing facilities for storing agricultural produce and business of laying and operating cross country natural gas or crude or petroleum oil pipe line network for distribution on common carrier principal. Under this method, all capital expenditure, other than expenditure on land, goodwill and financial instruments will be fully allowable as a deduction, he added. 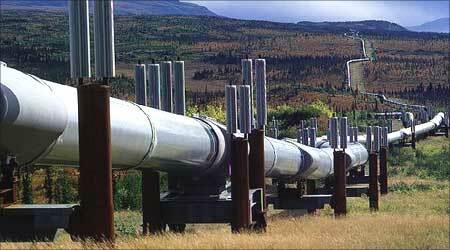 Image: Tax incentives for laying pipelines. For greater equity, under the Minimum Alternate Tax, the finance minister proposed to increase the rate of MAT to 15 per cent of book profits from the present rate of 10 per cent. However, to give relief to corporate tax payers, he also proposed to extend the period allowed to carry forward the tax credit under MAT from 7 years to 10 years. In order to incentivise the corporate sector to undertake research and development work, Pranab proposed to extend the scope of the current provision of weighted deduction of 150 per cent on expenditure incurred on in-house R&D to all manufacturing businesses except for a small negative list. Image: Some relief for the corporate sector. 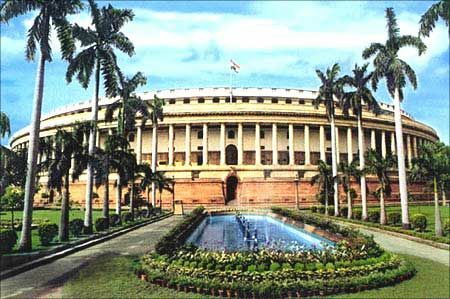 With a view to reform the system of funding of political parties, the finance minister proposed that donation to electoral trusts shall be allowed as 100 per cent deduction in the computation of the donor. Announcing further reliefs on the Income Tax front, the finance minister proposed to extend the scope of deduction of interest on loans for pursuing higher education to cover all fields of study, including vocational studies. 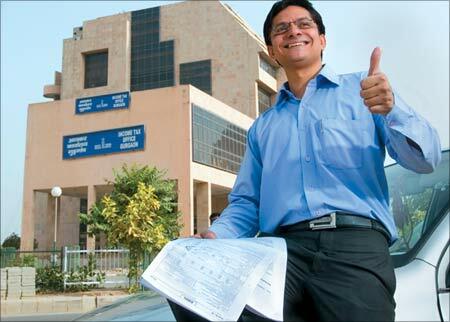 In order to mitigate the practical difficulties faced by charitable organizations on account of procedural requirements regarding anonymous donations, the finance minister proposed to grant relief to such organisations by not taxing anonymous donations to the extent of 5 per cent of their total income or a sum of Rs 100,000, whichever is higher. 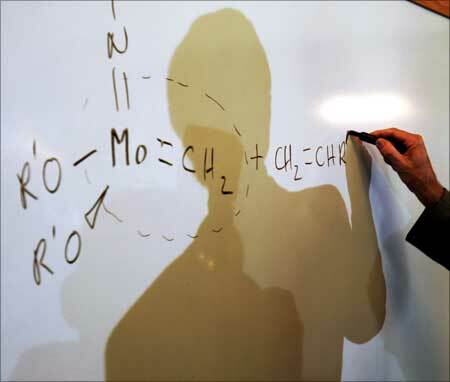 Image: Massachusetts Institute of Technology professor and 2005 Nobel Prize in Chemistry winner Richard Schrock illustrates a double carbon bond. The basic customs duty on influenza vaccine and nine specified life saving drugs used for the treatment of breast cancer, hepatitis-B and rheumatic arthiritis on the bulk drugs used for the manufacture of such drugs, has been reduced from 10 per cent to 5 per cents. They will also be totally exempt from excise duty and countervailing duty. The customs duty will also be reduced from 7.5 per cent to 5 per cent on two specified life-saving devises used in treatment of heart conditions. These devises will be fully exempt from excise duty and CVD also. 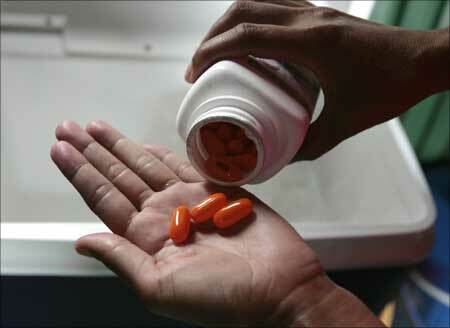 Image: An AIDS patient shows her daily dosage of life-saving drugs. To combat the phenomena of global warming and climate change, the basic customs duty on permanent magnets - a critical component for Wind Operated Electricity Generators - has been reduced from 7.5 per cent to 5 per cent. 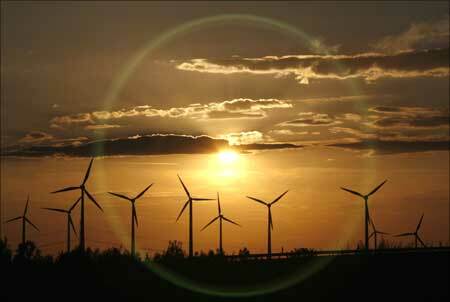 Image: The sun sets behind power-generating windmill turbines.